Here we go again! Just when we think Spring is here! At least the Easter Bunny was about! 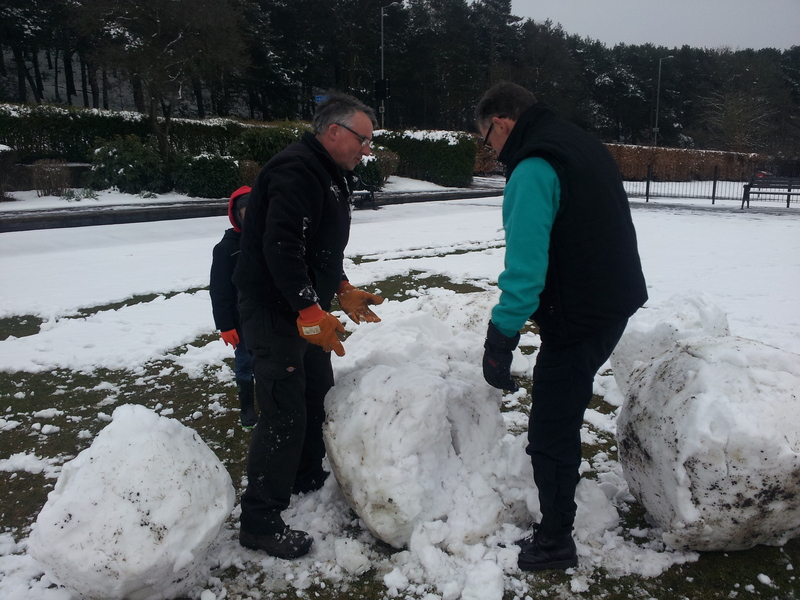 We have WONDERFUL Park Keepers, they are always willing to help when you need them! Thank you Nick and Cliff! 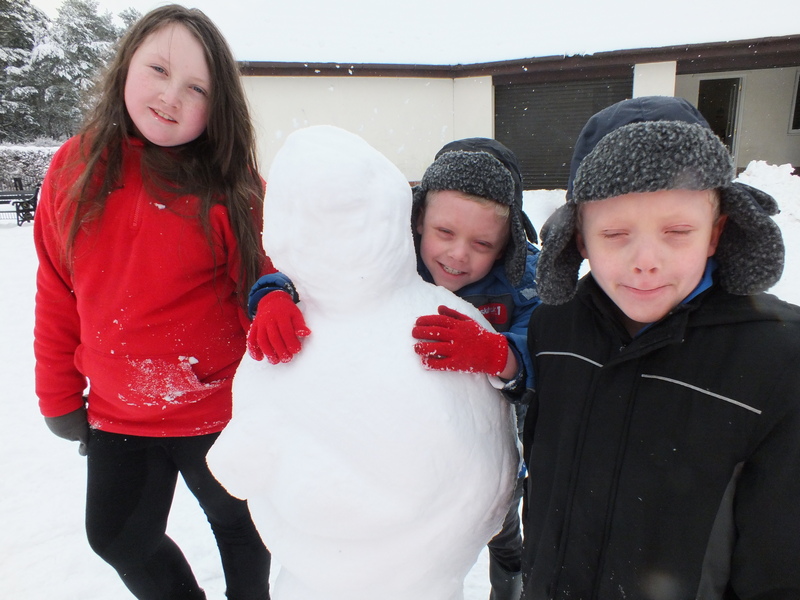 On Monday 21st January our local schools were closed due to the snow. 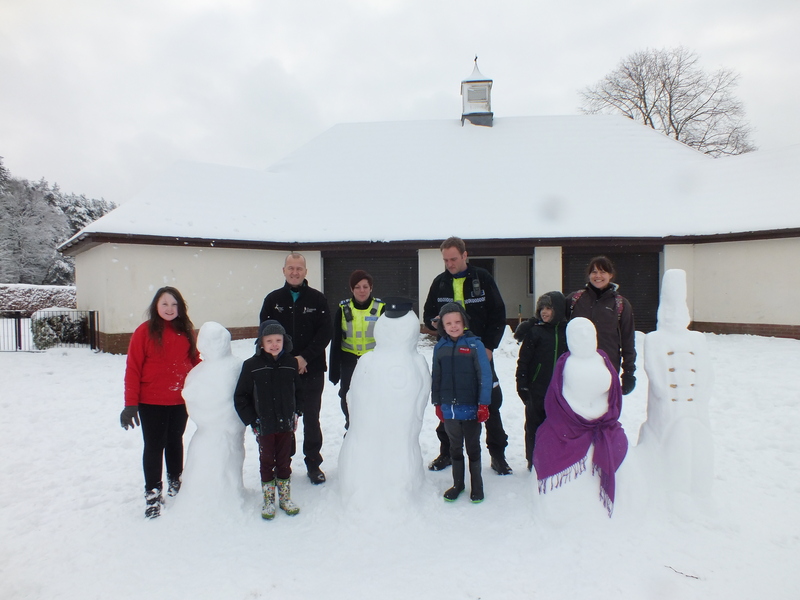 Busy sculpting snow people were Niklas and Sam Dewally with their Victorian Lady and man (Far RIGHT); Lewis, Tyrone and Charlie Evans with their version of park keepers Alex (with his baby Noah in his arms) and Simon. 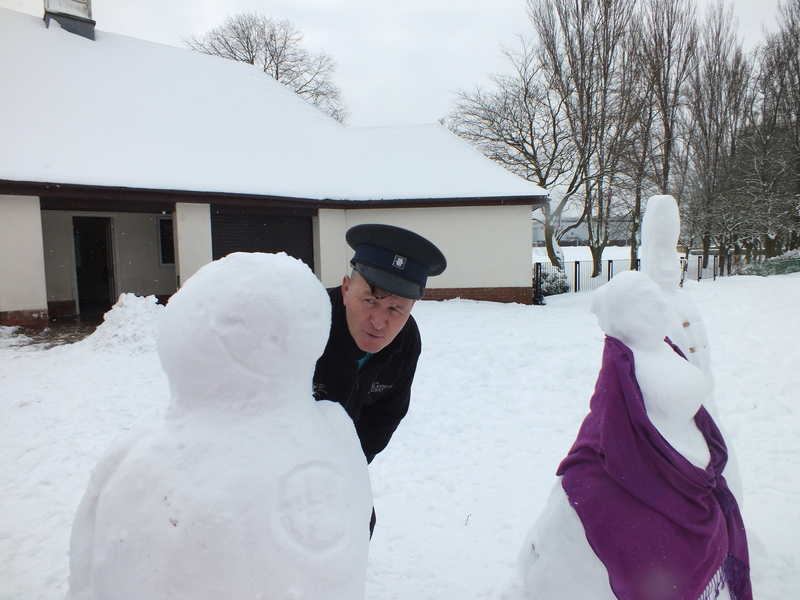 Simon is inspecting his sculpture (LEFT) and the local PCSO team Emma and Andy came to have a look too. 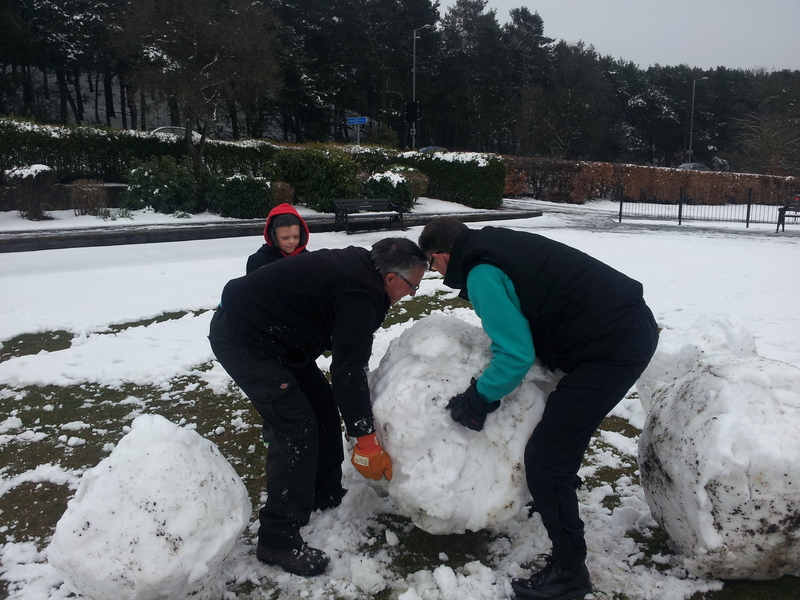 Lewis, Charlie and Tyrone built the snow up and Sam Dewally sculptured our young park keeper Alex in his new role ‘Daddy’. Congratulations to Alex on the birth of his son Noah on Sunday 20th January 2013. 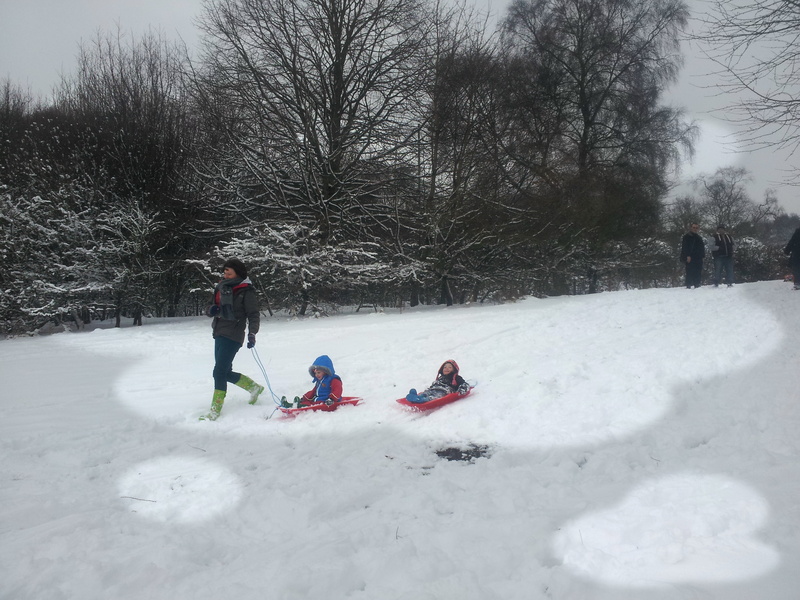 Whilst much of the country is struggling with heavy snow, some of our community are making the most of the recent weather. 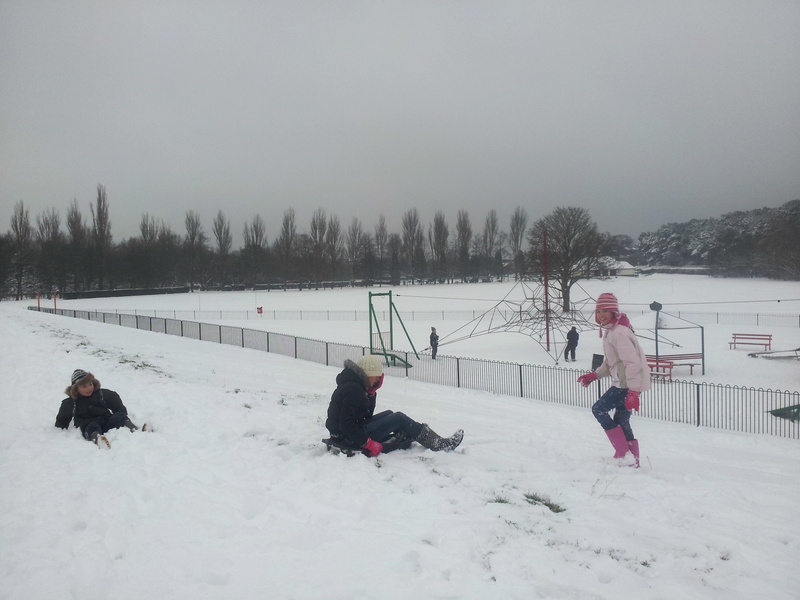 Families enjoy sledging on the slope by the Victoria Street entrance to Hednesford Park. Over the A460 Rugely Road, behind them, are the gates of the War Memorial. As part of the Heritage Lottery Funding the gates and pillars will be refurbished to their former glory. The new pillars and gates in Hednesford Park are to match the War Memorial pillars. 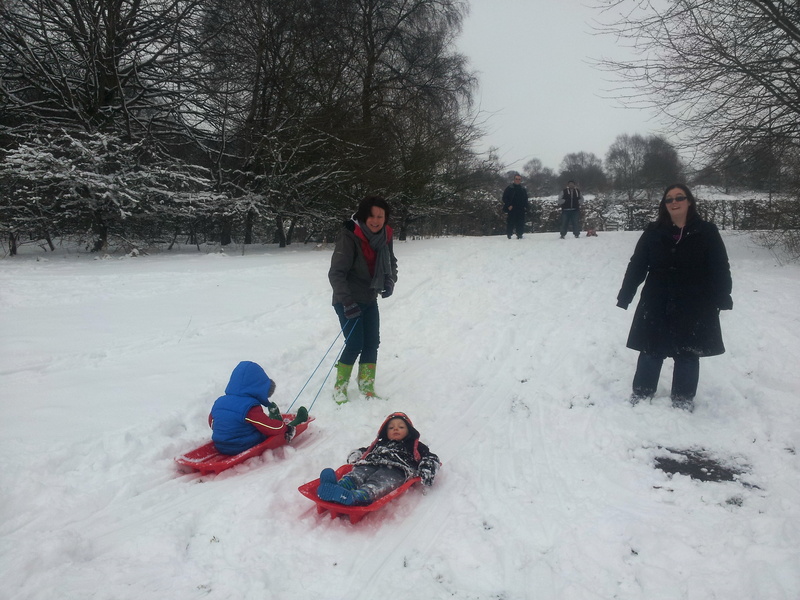 Photographs (BELOW) are taken outside the gates by Tesco, the Berry family have put their shopping on a sledge and made the most of the weather. 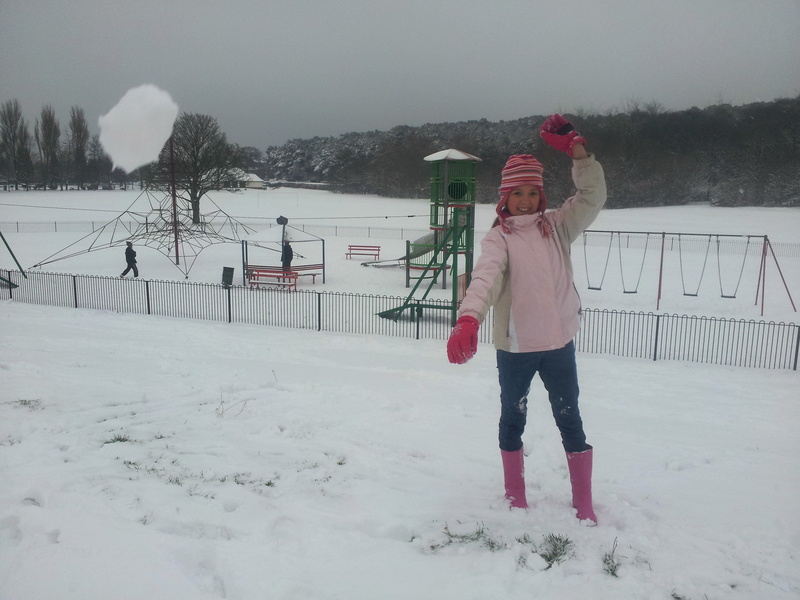 Thank you to Taylor (BELOW RIGHT) for trying several times so that I could get the snowball shot. 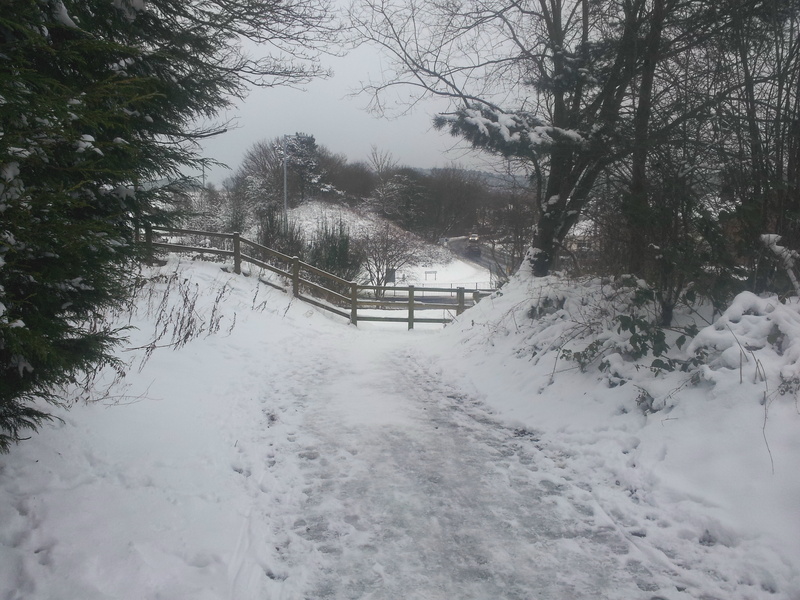 Photographs below were taken along the heritage trail, which runs along the old railway track that ran at the back of Hednesford Pool (now our park) then up along the side of Rawnsley Road. (BELOW RIGHT) is where the track went over the A460 Rugeley Road on a blue brick bridge.